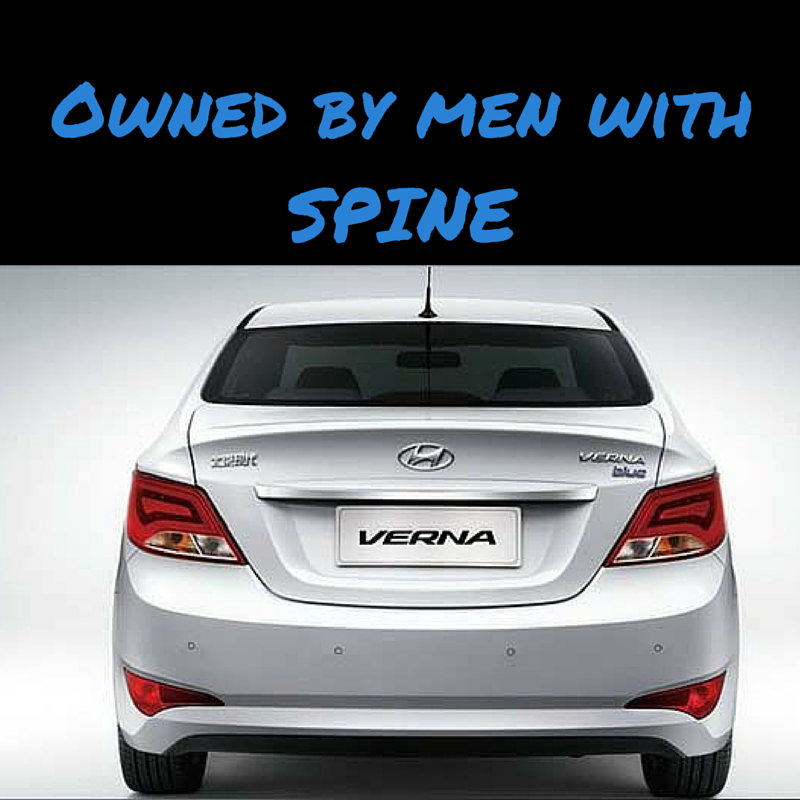 I would like to congratulate you and Hyndai for introducing the new VERNA car to the Indian market. 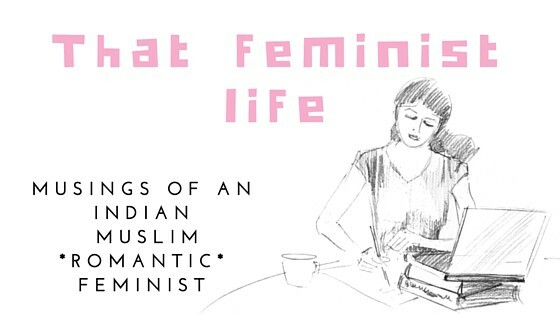 This year on my trip to India, I heard it’s the new desire of every other guy I met. However, I also came across a serious problem which is logically absurd but true. 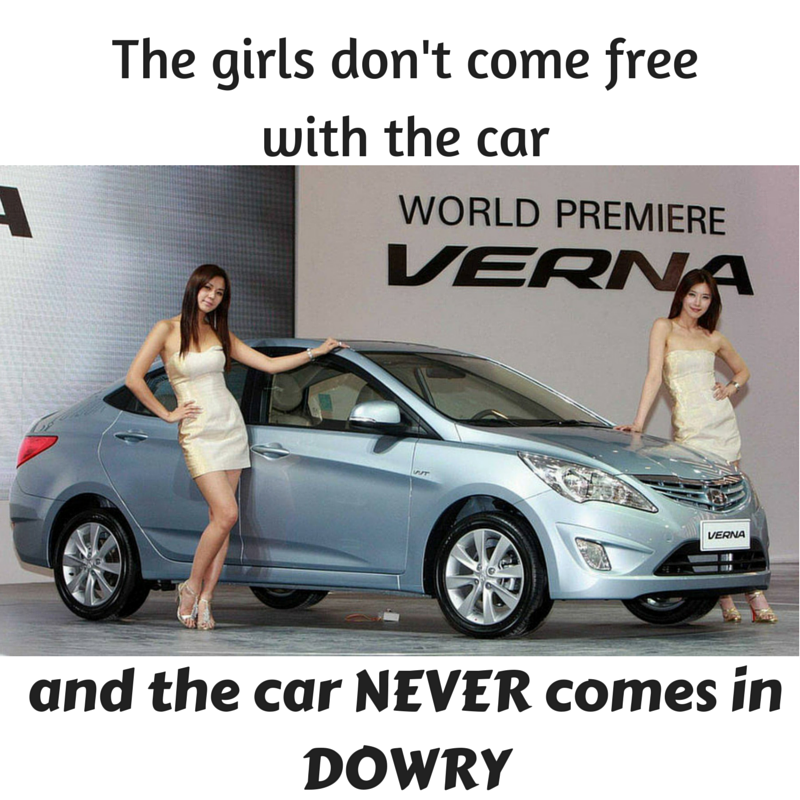 It happens to be the dream of every man to get this VERNA car of yours in DOWRY! 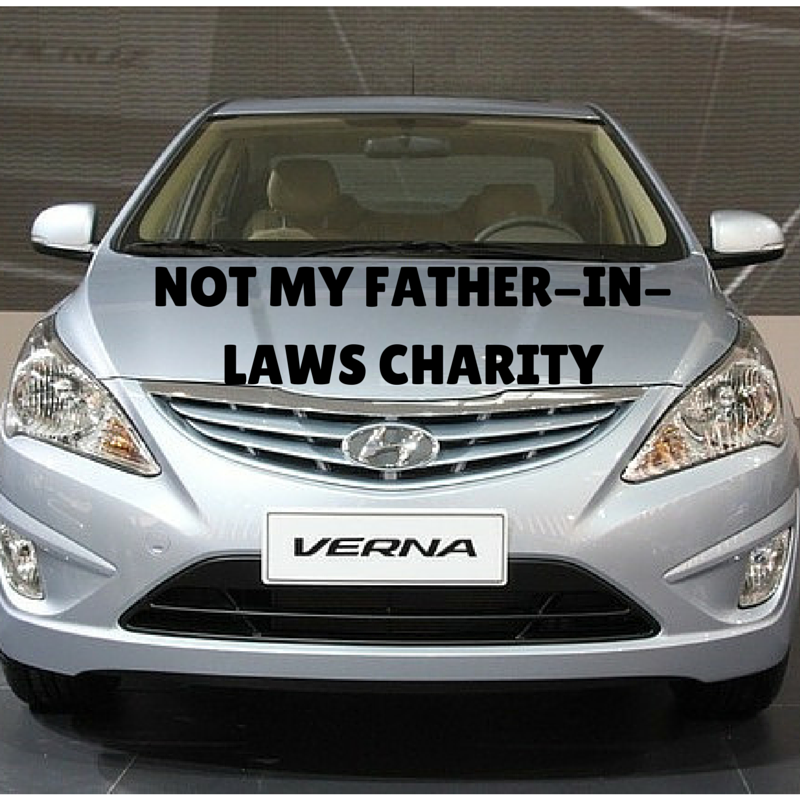 Every man dreams and desires VERNA car but weirdly no one wants to buy it for himself (not many unfortunately). I would therefore request you to take this opportunity and “literally” inform this crowd of dowry dreamers that the car is best enjoyed when earned yourself. Since you are not an Indian national, I doubt if you understand the evil of DOWRY system that still flourishes in the Indian society in 2015. But all I can tell you is that I saw a marriage break in my family where a 2 year old kid is involved because the husband demands VERNA car and won’t keep his wife and child with him without it. How sad and pathetic and awfully stupid this sounds but its true.Domestic violence and dowry go hand in hand. Obviously when men do not get their demands fulfilled, they choose to abuse their wives in hope that her family would give in to end the torture. Car or not, the torture never ends! 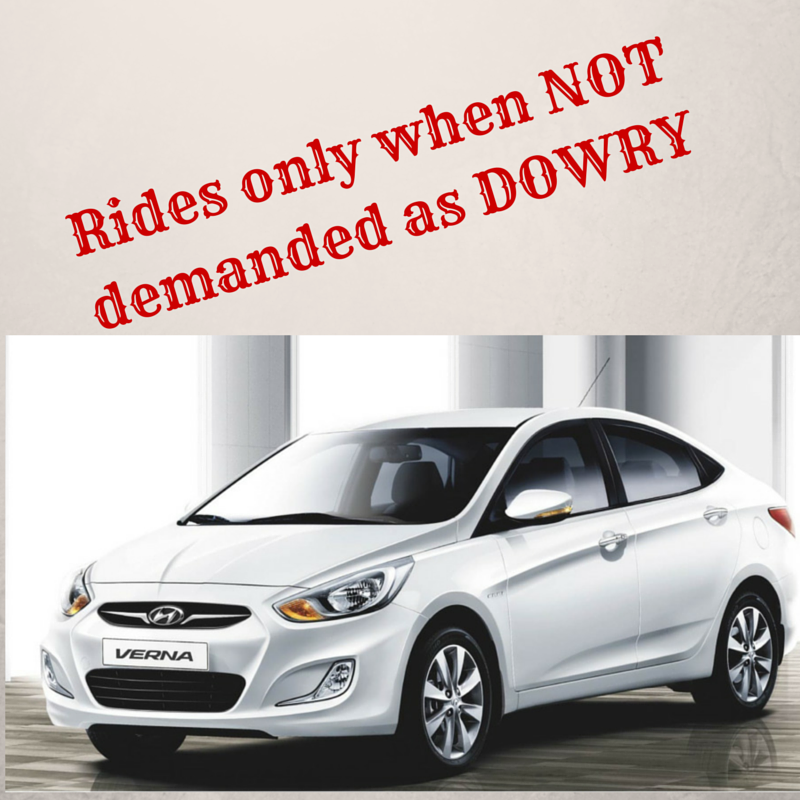 And I know its not your car, dowry dreamers throw these tantrums for almost anything and everything. But your car is a good way to shame such men who don’t want to work for it. 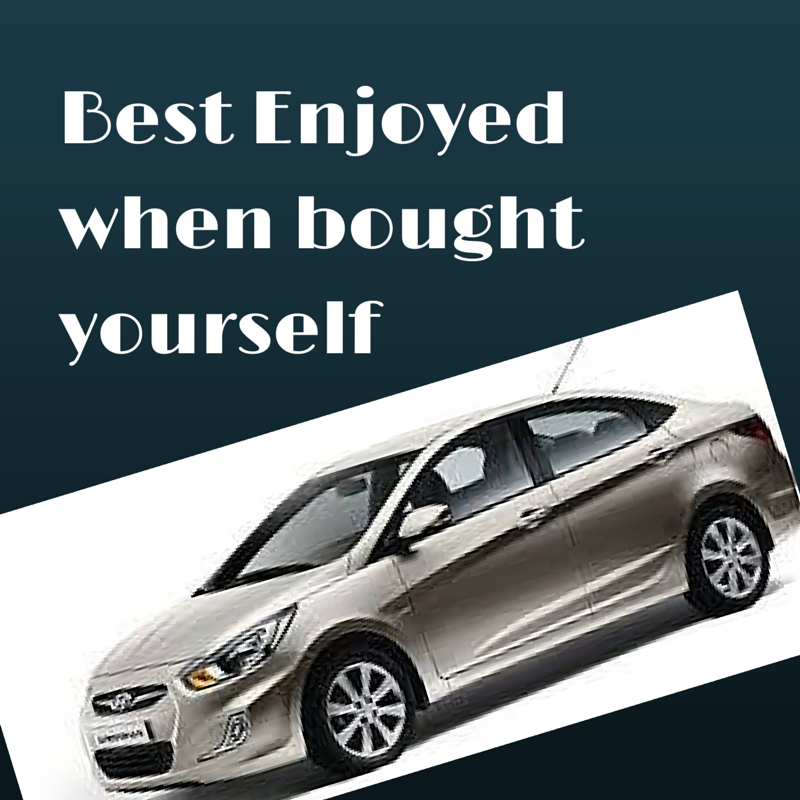 Since they adore your car, they might take heed from the message you personally convey in your adverts of the car.